They'll cotton on quickly to our Kids Short Sleeve Crew Tee. This easy care kids tshirt is made from soft and durable Aussie cotton jersey and matches with the BONDS Kids/Baby range. 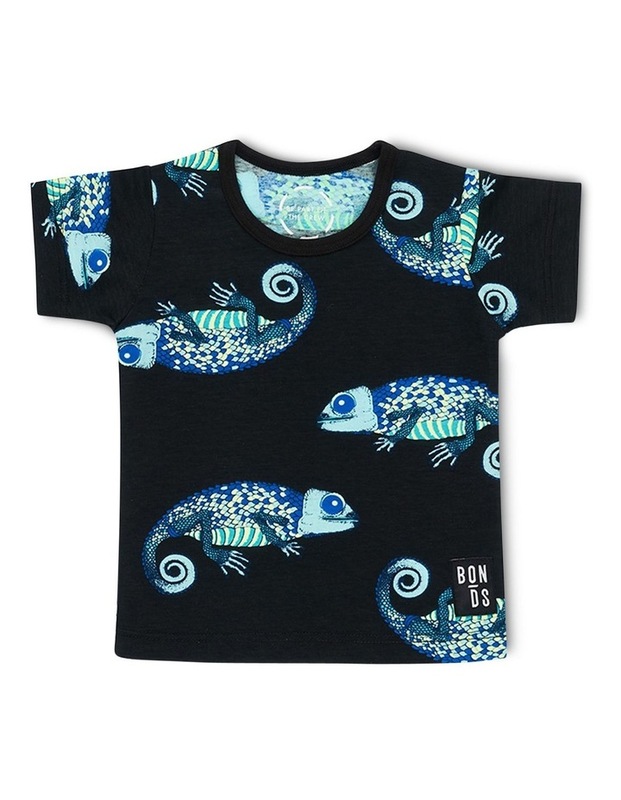 Short sleeve kids cotton tee that's perfect for layering. Press studs on sizes 000-2 for easy dressing. A multi-season wardrobe essential. Features fun on-rend prints and BONDS logo patch.